Landlord and Tenant are two words which have deep historical roots in Ireland. Often followed by a dreaded word: “eviction”. Back to Famine times, the relationship between landlord and tenant was unfriendly. The landlords were the rich, the Ascendancy, the oppressors, the tenants were always the victims, the Irish, the peasants, the poor people. All that was supposed to change at Independence. In fact the old landlord class were replaced by new landlords in towns and cities all over the country. Buying a second house and renting it out was seen as a smart investment. All through the 20th century the tenants remained playing second fiddle. Very little security of tenure, usually one year, renewable at the landlord’s discretion. Disputes were settled, often quite slowly, through the District Courts. Sometimes disputes were settled illegally e.g changing the locks, and occasionally by physical intimidation. However, that has changed radically in the 21st century. The RTB (Registered Tenancies Board) came into being in 2004 and immediately became the one stop shop for everything to do with renting a house or apartment. Starting and ending a tenancy, controlling rent increases, dealing with every dispute, basically taking away most powers of the Courts to deal with residential tenancy issues, the RTB rules the whole system. The tenant is slow in paying? Take them to the RTB. The landlord has changed the locks? Take them to the RTB. The letting agreement (or lease) between landlord and tenant governs most aspects of their relationship. But it is critical to realise that the RTB gives rights to tenants which overrides any written lease. A lease which is stipulated to run for one year only, for example, isn’t worth the paper it is printed on. Once a tenant has complied with the terms of the lease and has occupied the property for a minimum of 6 months, then they have an automatic right to retain their occupancy of the property for a further 5 ½ years, assuming they comply with the terms of the agreement. The landlord cannot advise the tenant that, after 13 months, their lease has expired and that they have to go. However, the RTB has allowed some exceptions to this increased security of tenure. The two main exceptions to this (there are 6 altogether) are where: 1 the landlord is selling their property or 2 they are carrying out substantial renovations. These genuine exceptions have been used as loopholes to remove tenants by a minority of landlords and new legislation is tightening up the rules here. A rogue landlord is one who deliberately avoids registering the tenancy with the RTB. The reason for doing this is not to avoid the RTB charges, which even in cases of late or delayed registration are not cripplingly high. The main motivation is to avoid having to pay income tax on the rental income. A good landlord will grumble that his or her rental income is paid at the top rate of tax but will pay it. A rogue landlord will evade paying tax at all on the rental. This means finding tenants and treating them well enough to keep the illegal tenancy going on in secret. A rogue landlord who does not treat his tenants well, however, is taking a huge gamble. 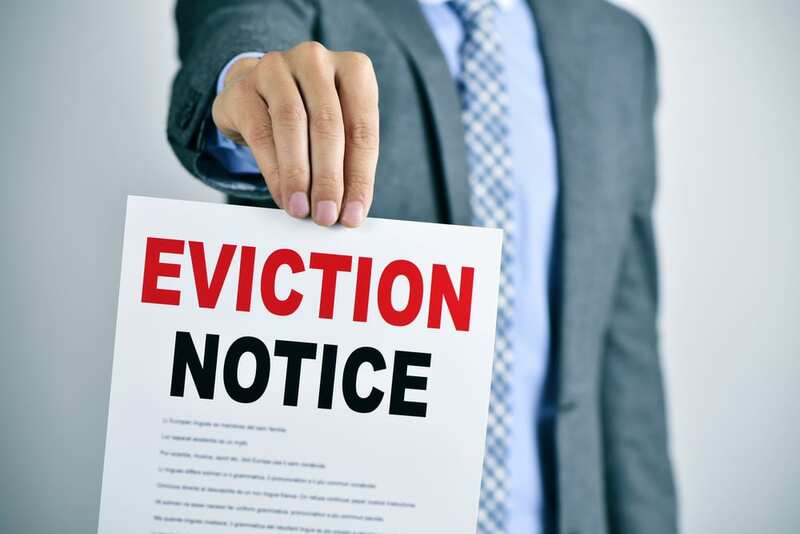 If a tenant discovers that their landlord has not registered the tenancy, and if that landlord has treated them badly, by, for example, trying to subdivide an already crowded house into another bedroom, or refusing to repair kitchen equipment. They will want to defend their rights. Because the tenancy is not registered with the RTB, there is no proper way to resolve an issue with the landlord, the only way a tenant can deal with them is to tell the landlord that they either register properly with the RTB, or the tenant will contact the RTB. An illegal landlord cannot defend against this tactic. Neither can they say that the tenant has colluded with the illegal situation, the legislation does not penalize unregistered tenants. A truly rogue landlord is more likely to resort to illegal tactics to resolve a dispute. Because they are not registered, they have no access to the RTB dispute resolution system. Neither can they use a solicitor as they are “outside” lawyers and the courts.